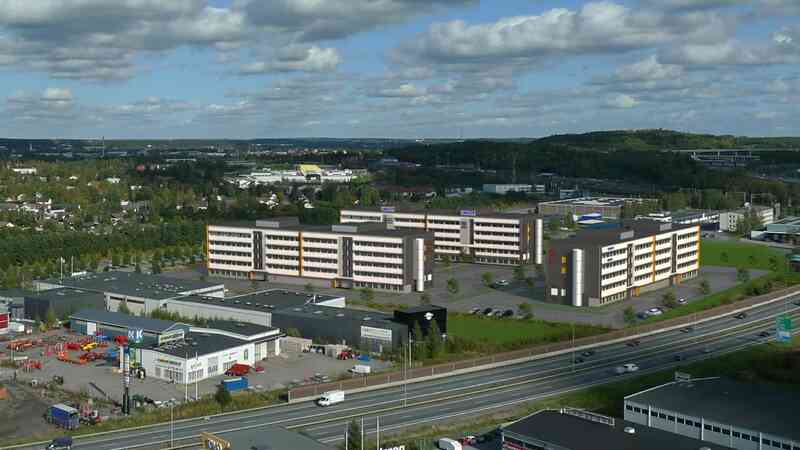 The office area is located near the by-pass road to Tampere. The distance to the city centre is about 5 km, to Tampere Fair Centre – 400 m, to Partola Shopping Centre – 600 m and to Helsinki – 176 km. The sizes of the office premises vary from 200 m² to 3 800 m² per building. The construction will be carried out so that the two neighbouring buildings can be connected to each other, which enables maximum area of 7 600 m² for office use. The area offers a lot of affordable parking space (95 spaces per building).